Face of the demon Charun. Last decades of the 4th century BCE. 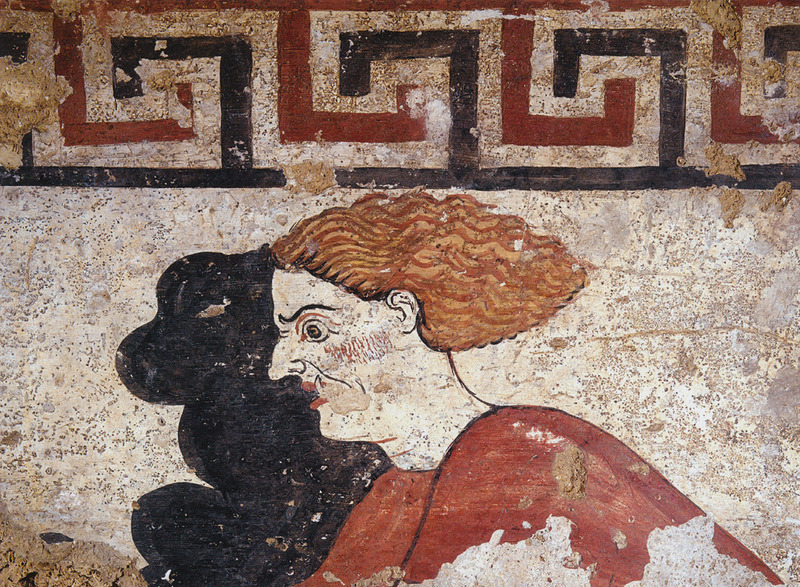 © 2007 Photo, text: Guide to the places of the Etruscans. SCALA Group S.p.A., Florence, p. 88. (ISBN: 978-88-8117-240-5).